Before my father's retirement from the Barter Theatre in 1992, my mother and father took a trip to the Panhandle of Florida to vacation on beautiful Saint George Island. Saint George Island is a barrier island and the lovely Apalachicola Bay (this is where the famed Apalachicola Bay Oysters come from) lies between Saint George Island and the city of Apalachicola. 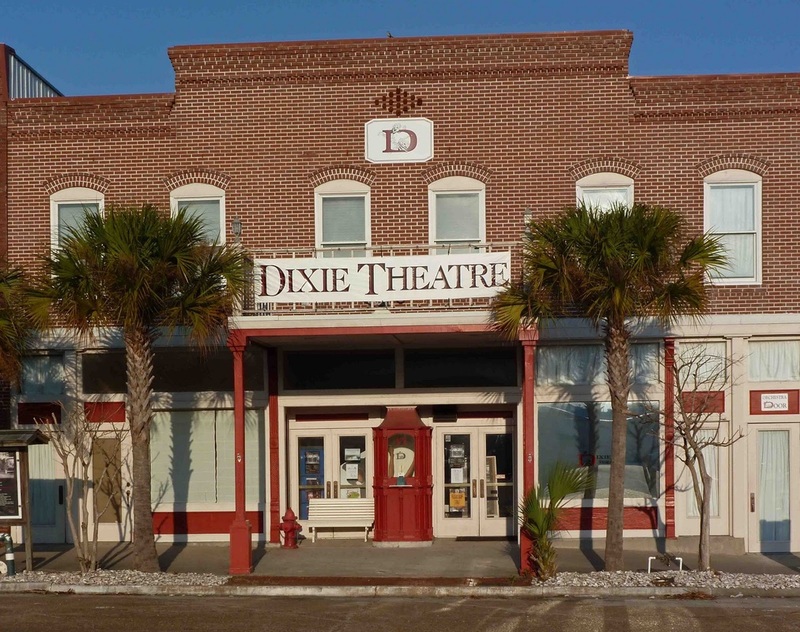 My parents, in their travels about town, came upon the Dixie Theatre in downtown Apalachicola. Built in 1912, the theatre had served a varied number of purposes; being both a venue for live theatre as well as motion pictures throughout its lifetime. By 1992, it had long since been abandoned and boarded up. Left to the elements and especially the sea air, time had not been kind to the Dixie as the photographs (below) from 1984 and 1994 can attest. While my father had "officially" announced his retirement, he was not a man who would ever truly retire. No indeed. In fact, here was yet another challenge to undertake. Another uncharted but beautiful artistic journey my parents would take together. There had been many in the past: Broadway and life in New York City then the Guthrie and the birth of the American Regional Theater, next Heartland Productions and my father's true and deep commitment to bringing professional theatre to the people of the regions far from metropolitan areas. Then came the Barter Theatre, a full circle for both my parents really for it was at the Barter that they each began their early professional careers. And now, before them, lay the Dixie Theatre with all the challenges, all the unknowns and all the promise that these two veteran Thespians knew only too well. In 1993 my father, mother (actress Cleo Holladay) and their youngest child, Dixie, made the decision to purchase the theatre and move to Apalachicola. Unfortunately I was unable to join them at the time as I was singing and performing in the east coast region of Philadelphia, New Jersey, Delaware and New York. After a protracted period, the Dixie Theatre's renovation was completed and the theatre re-opened in 1998. 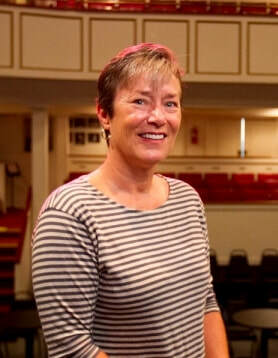 In 2004 my sister Dixie (yes, that really is her name) took over as Artistic Director and Manager. It continues to this day, producing professional theatrical productions and presenting nationally acclaimed artists. The Dixie Theatre as it appeared in 1984. The Dixie Theatre as it appeared in 1994 (with Rex Partington in foreground). Below, a portion of the design of technical infrastructure of the Dixie Theatre (by Tony Partington). Design for the "First Electric" at the Dixie Theatre, Apalachicola, Florida. Main Electrical Breaker Panel for Lighting System, Dixie Theatre, Apalachicola, Florida. Rex Partington proudly stands next to the sign announcing the Re-Creation of the Dixie Theatre. The Recreation of the Dixie Theatre begins with the demolition of what remains were standing of the original building. Two pictures of The Dixie Theatre as it appears today.